CHAPPELL HILL — Father Jozef Musiol — born 64 years ago in Myslowice, Poland, 50 miles from Krakow — is certainly a very smart gentleman and a caring individual of multiple talents who dedicated his life early on to the missions of the Catholic Church, becoming a priest by age 25 and then gearing nearly every waking moment “to His service” for now 39-plus years. Following Jozef’s primary and secondary school years in his home area, he qualified for study at the Catholic Institute of Philosophy and Theology in Krakow and was ordained into the Catholic Church priesthood in 1972. His achieving a master’s degree in theology would be only the beginning down several paths to further this young servant’s value in service to his church — as following one year as an assistant pastor in the smaller Polish city of Zakopane, he would leave for London and a five-month course there to study the English language. Published in Polish, 1998, it was well received by those who were able to read it, including a number of people with Polish roots who are now in Texas, or Illinois, or other U.S. places where Father Jozef has traveled since 1998. Father Jozef has a single manuscript translated into English; and an English language printing of “In the Heart of Tanzania” remains one of the continuing goals of this dedicated missionary and priest. As a native of Poland (thus service anywhere else is something of “a mission field”), this dedicated servant of God still considers himself “a missionary” in the broadest sense of that term. He even prides himself in “still thinking like a missionary” — this even though most of his now 17 years in the U.S. have been centered on serving as a parish priest, though often including additional assignments to utilize his 1989 doctorate in the church’s canon law administered in this region through the Diocesan Tribunal, located in Austin. Father Jozef seems pleased to have relocated (July 2010) here to Chappell Hill, though it represents at least a handful of moves since his 1995 arrival in Texas. And most likely, as the still energetic and hard working priest approaches his mid-60s, he would prefer to remain settled here for at least the five years which represent his longest time in one Texas location (Bremond, 1995-2000). St. Stanislaus Church is one of the central points of life in Chappell Hill and serves some 170 church families. But prior to Father Jozef’s 1994 arrival in the U.S. — and where he would serve a Brooklyn, N.Y. parish for one year before moving to Texas and establishing his field of service near the Diocesan Tribunal in Austin, which continues now as an important part of his work (especially handling Catholic canon law related to family matters) — there was a period of 12 years when this Christian servant’s life was geared to further education; and then serving as a teacher. Following completion of nine years as a Tanzanian missionary in 1982, Father Jozef moved to Rome for further study at Gregorian University for more than two years and then would enter a program to study the Catholic church’s canon law and liturgy, a four-year doctoral program which he would complete in March 1989. Upon Father Musiol’s completion of his doctorate, Pope John II (originally Karol Wojtyla of Poland) — Jozef had his first of several encounters with the future Pope at age 16 when he volunteered as an altar boy for a Society of Divine Saviour (SDS) confirmation (and Pope John then held the rank of bishop) — congratulated a 42-year-old Jozef as he, his mother and youngest of four sisters were invited to a private audience with the Catholic pontiff. This cherished memory of a lifetime (see photo) came just three days after “my public defense of my doctoral dissertation” and the conclusion of Jozef’s total of seven years of research/study at Rome’s Gregorian University. As previously noted, there would be an additional four-year period — following soon after his achieving that juris doctorate — teaching canon law and liturgy at the Catholic Seminary back in Tanzania, 1989-93. Then within a few months of completing that assignment, Father Jozef— as a member of the Society of Divine Saviour’s priesthood, commonly known as the Salvatorians — would find himself bound for the U.S. in 1994. With the exception of that first year in Brooklyn — and three years (2004-06) during which Father Musiol was chosen to serve as Regional Superior of the Polish Salvatorians and moved to their Merrillville, Indiana, headquarters — a total of 13 of his 17 years based in America since mid-1990s have been spent handling assignments in Texas. Served as pastor of the Bremond parish for more than five years, 1995-2000. Rockne, in the Bastrop vicinity, was his next parish to serve for nearly three years. 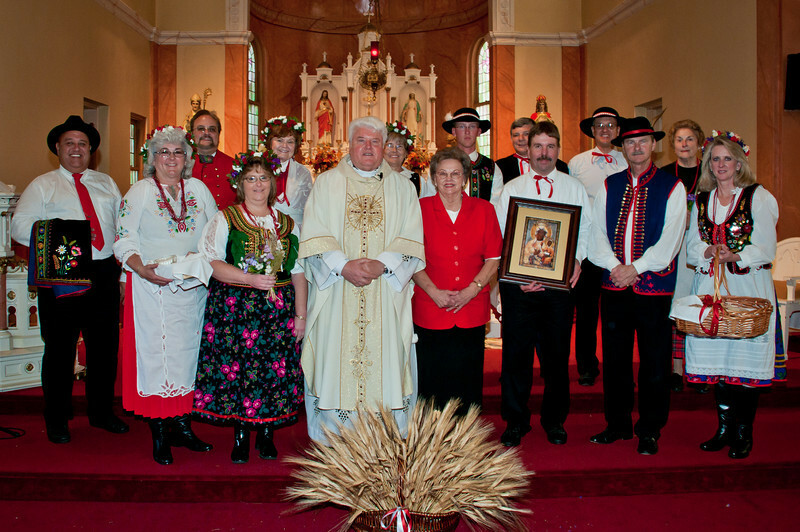 Upon his return from three years as Superior of the Polish Salvatorians in late 2006, he would be assigned to a special canon-related project at Diocesan Tribunal in Austin for several months. 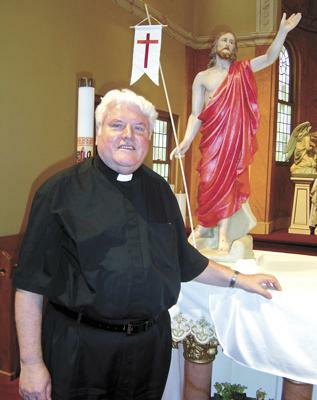 In 2007, Smithville would be Father Jozef’s final parish assignment prior to his 2010 move to Chappell Hill. Perhaps with a natural bent for mechanics, and a Mr. Fixit-type personality — and with these talents obviously coming in handy during his nine years as a missionary in a Third World country — Father Jozef Musiol really enjoys handling some of the repair work required in the rectory and other parts of the charming St. Stanislaus properties. But there is always a special time every year, almost without exception, when he goes home to Poland for about one month to visit his still active 87-year-old mother; four sisters (two now living in Germany) and a brother and many other relatives and friends. The large family has been drawn even closer together by the early death of his father Franciszek Musiol in Feb. 1963, when Jozef was only 15 years old. He expects this coming fall’s vacation “back home” to be especially nice because there are plans to also visit the families of his two sisters residing in Germany. When a young Jozef Musiol first met the future Pope John II while serving as an altar boy for that Salvatorian confirmation back in Poland, he most certainly would never have foreseen the memorable and fulfilling events of what will soon number 50 years of faithful service to his church. Indeed, as now a qualified Texan of some 15 years, Chappell Hill’s Father Jozef Musiol might even be tempted to be sporting a 10-gallon hat when he arrives back in Poland for that visit this fall.